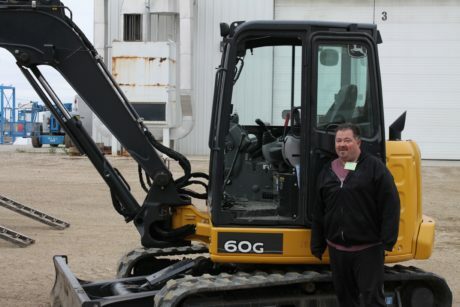 John Deere customer Kendale Dosselman, who lives in the province of Saskatchewan, Canada, stands in front of his modified 60G Compact Excavator. Saskatchewan is breathtakingly beautiful and impressively immense. Fertile prairies stretch as far as the eye can see. Rich amber wheat stalks sway gently in warm summer breezes. About 100,000 crystal-clear freshwater lakes dot the landscape. And thick forests add splashes of deep green to a vast Canadian canvas. Here, people are as friendly as frigid winters are long. They’ve met neither a stranger nor a job too tough to complete. This spirit of rugged independence is everywhere, particularly in rural towns like Rose Valley. That’s where you’ll find folks like John Deere customer Kendale Dosselman, a burly former oil-rig worker whose indomitable will is every bit as strong as the crankshaft on his beloved 60G Compact Excavator. In an instant, everything changed. He doesn’t remember being rushed to St. Paul’s hospital in Saskatoon. He doesn’t remember his lungs filling with fluid. But he does remember waking up from a medically-induced coma to discover doctors had amputated both of his hands. The next few years were, suffice to say, difficult. The scars began to heal. The pain lessened. And the real work began. I have to learn how to eat? Just keep going. I have to learn how to comb my hair? Just keep going. I have to learn how to drive? Just keep going. Dosselman knew that to get back to work, he had to just keep going. Deere customized Kendale Dosselman's 60G Compact Excavator with an auxiliary foot pedal control. Giving up isn’t part of Dosselman’s DNA. So, despite life-altering injuries, he decided to start his own contracting business and bought a Deere 60G compact excavator. In May 2018, the request was sent to the Custom Engineering team at Dubuque Works in Dubuque, Iowa. “We were honored to help a customer who was trying to help himself,” said Ryan Camps, engineer, Dubuque Works. Camps was determined to make Dosselman’s excavator usable, despite the challenges of retrofitting the controls. Once everything was in-house, the team began the modification design process. Since many of the parts such as control valves and shuttle checks were manufactured for the Japanese market, changes had to be made to meet U.S. standards. That meant designing custom hoses and fittings, which had to be fabricated on-site at the factory. 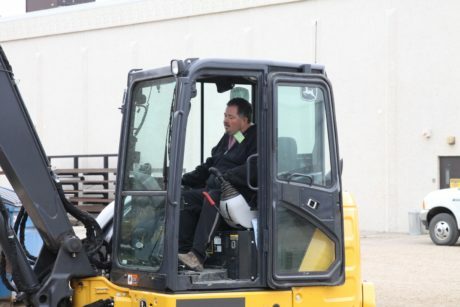 The Deere Product Safety & Compliance team took a close look at the design and, after installing safety interlocks to prevent accidental machine movement, approved the changes. The modifications were then sent to a John Deere dealer in Saskatchewan for installation. 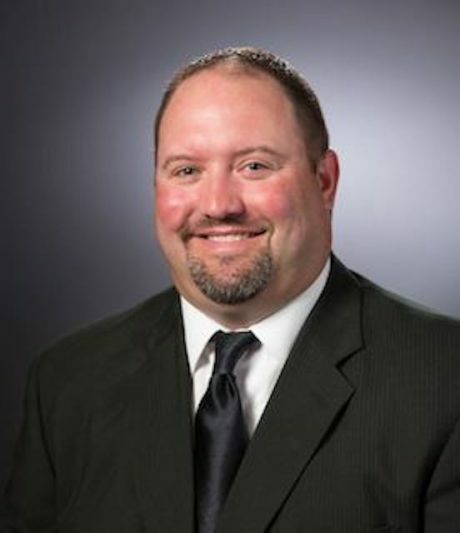 Today, Dosselman is back to work, and his contracting company is growing. He has a couple of employees, a few skid steers, and, yes, his beloved excavator. It’s equally astonishing for Deere engineers, too.